InFocus is an American Multinational company mainly manufacture large LCD, Projectors Enters in Smartphone market as they claims phones is made by same company Foxconn which makes Smartphone for Apple iPhone. Recently InFocus launched InFocus M530 with key specs like MediaTek 2GHz octa-core processor, 5.5 inches display, 4G support, 13 MP front and rear Camera, 2 GB RAM/16GB ROM & 64GB Expendable memory and 3100 mAh Battery. 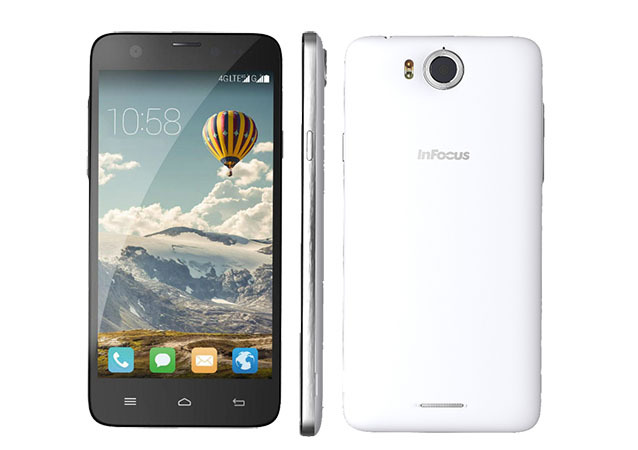 Here we will have Short review, Pros and Cons of InFocus M530. This handset is following traditional Smartphone design and built on plastic although metallic strips in edges added some beauty. 8.9mm thickness with 176 gram weight seems not so heavy neither light for a 5.5 inches phone after judging its design, look, slimness and weight we can conclude that it is an average handset. 5.5 inches IPS Capacitive touchscreen having 720p resolutions with 267ppi display density appears quite lesser but this phone maintained everything under satisfactory. We didn’t find any disadvantages over its display which is protected with Gorilla Glass 2. MediaTek MT6595 2GHz octa-core processor with 2GB DDR3 RAM is not going to disappoint you for the performance. The Android v4.4.2 with Inlife UI runs smooth gives good impression to user although we are expecting higher OS version (Lollipop) in this handset. The camera is best thing associated with this device. 13 MP front/rear camera is well equipped with device. Main camera is capable to capture stunning photos but many photos looking over-saturated. Front side also has a flash to enhance the quality of selfies. 3100 mAh battery is quite sufficient for a Smartphone but in this device battery is not performing well. We are highly recommending third party app to look-over and manage its battery such as battery doctor. Superb 13 MP front camera with front flash. Performance is pretty well with MediaTek 2.0 GHz processor. Quick Battery Draining is an Issue. The speaker sound is bit low. Little heating problem during long video recording. 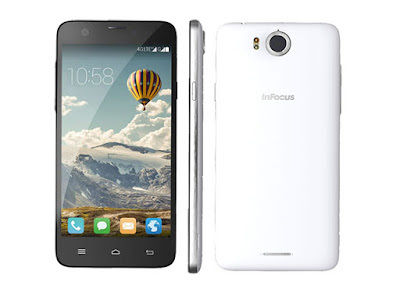 InFocus M530 is budget Smartphone with most competitive price group. We are not recommending this Smartphone to those people who are searching for a great premium look Smartphone, other category people are those who require very long lasting battery. You can go alternatives such as Moto G 2015, Samsung Galaxy Grand Max and Xiaomi Mi 4i. Apart from the above mentioned issues this handset has outstanding performance, stunning camera and nice display.